Guide to create hosted network using the command prompt in Windows 10 PC. The same steps can be applied to Windows 7 and Windows 8.1 running PCs. This guide will help you to create Wi-Fi Hotspot in Windows 10 PC using the command prompt and without any third party software utility. Most of us have wired internet connection on our PC. I have been using a 3G dongle for few years now. 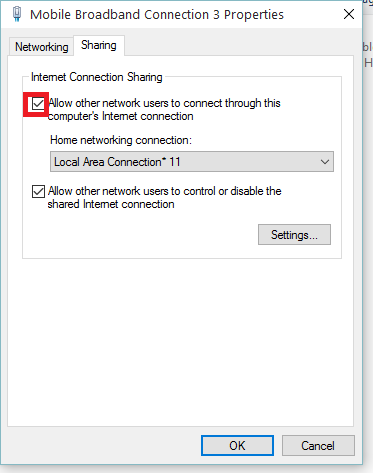 However, if you have a wired internet connection or if you use the internet through 3G or 4G dongle on your PC, you can share the Internet by creating a Wi-Fi hotspot in Windows 10. The hosted network feature in Windows 10 allows you to create a Wi-Fi hotspot and then share it with your other Wi-Fi-enabled devices such as tablets, smartphones, and laptops or PCs which has Wireless connectivity card installed. Microsoft does not provide any direct UI to create Wi-Fi hotspot in Windows 10, but you can create it using few lines of commands. 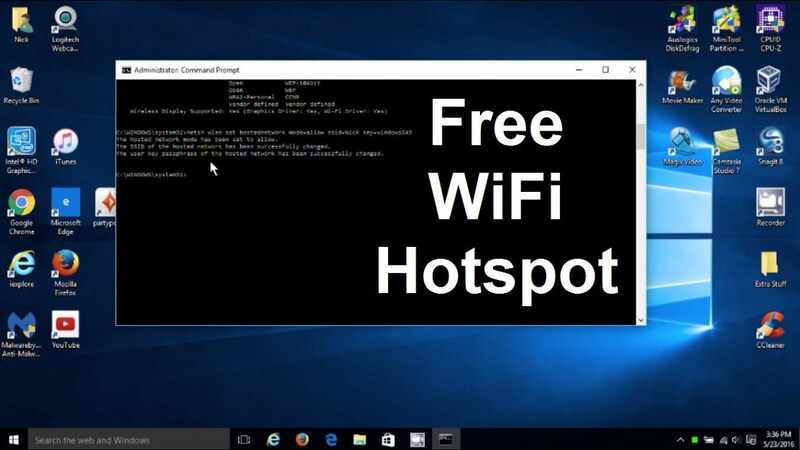 Here is how to create Wi-Fi hotspot in Windows 10 using the command prompt method. To create a Wi-Fi hotspot, you should have a wireless card installed on your laptop. Begin with turning on Wi-Fi on your PC or Laptop. You can find a dedicated Wi-Fi button on your laptop or click on Notification Center in Windows 10 and turn on Wi-Fi. Next, open elevated command prompt (command prompt as administrator). 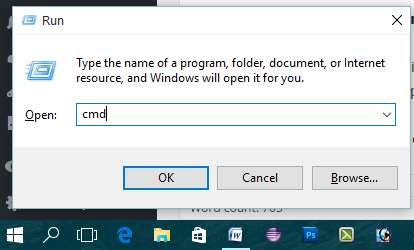 Open command prompt using Run – Press Windows Key + R and type in cmd in the Run dialogue box and hit enter. 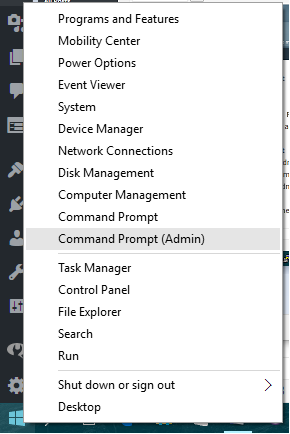 Open Command prompt from Start – Right click on Start button and select Command Prompt (Admin). This should open the command prompt in administrative mode. Or press Windows key + X and select Command Prompt (Admin). In the above command, “MyWi-Fi” is your Wi-Fi hotspot name and “yourpassword” will be your password. Change it according to your need. Press enter to create the hosted network. If the hosted network is created successfully, you should see a success message. This will start the hosted network on your PC and a connection named as MyWi-Fi (or whatever you named it) will appear in Network Connection list. Next step is to share the existing internet connection with a newly created Wi-Fi hotspot. Go to Control Panel, Network and Internet and open Network Connection. Or copy and paste this “Control Panel\Network and Internet\Network Connections” in Windows Explorer. Right-click on your existing internet connection and select Properties. In my case, it was Mobile Broadband Connection 3. From the properties window, click on Sharing tab. Click on “Select a Private Network” and select the newly created Wi-Fi connection from the drop-down list. Click on the OK button to save the settings and close the properties window. Now if you go to Network and Sharing Center in Control Panel, you will see your newly created Wi-Fi connection listed in active networks section. That’s it! Take out your phone, tablet, and laptop and start using the Wi-Fi. You can stop Wi-Fi connection either by disabling Wi-Fi (Turning OFF Wi-Fi) or by typing “netsh wlan stop hostednetwork” command in command prompt. Whenever you want to start the Wi-Fi network, open the command prompt as Administrator and type in “netsh wlan start hostednetwork” command. If you don’t want to enter the ” netsh wlan start hostednetwork” command each time to start the WiFi hotspot, you can create a batch file (.bat) to execute this command with a single click. I have already created a batch (.bat) file to start the WiFi hotspot, and you can download it from here. Place the downloaded batch file on your desktop. Double-clicking on the batch file will start your WiFi Hotspot. When you double-click on it, a command prompt window will appear notifying you that the WiFi hotspot has been started. You can press any key to close the window. Note: If you download the batch file and try to run it, Windows will show a security warning as the file has .bat extension. You can safely ignore the warning as the file safe to use. Wi-Fi hotspot is showing connecting, but don’t connect – This happens when you haven’t shared your existing internet connection with the WiFi hotspot. Go to Control Panel, and navigate Control Panel\Network and Internet\Network Connections. Right-click on existing internet connection, select Properties, go to Sharing tab, select your Wi-Fi hotspot from the drop-down list and click on OK to save the settings. Open the command prompt and start the Wi-Fi hotspot with “netsh wlan start hostednetwork” command. The hosted network couldn’t be started – This error can occur due to several reasons. We have a detailed guide covering how to fix the hosted network couldn’t be started error. Note: You can always create a new Wi-Fi hotspot using the same command. Every new Wi-Fi connection will overwrite the previous one. This was about how to turn your Windows 10 Computer into a Wi-Fi hotspot. Do let us know your thoughts in the comments below.